Well, I am sure there are various members here who love working on photoshop like I do and hence, i have started this thread. Here is What I did To the New Indica!! How did you change the wheels? The wheels and front vent look very nice but the headlights my need to be changed..doesn't fit right. Here is another one. With completely smoked headlights. Will try and do a Headlight transplant soon. I am against all non-automotive threads. As the forum grows we will have more and more on autos alone and they should keep us all busy and happy. There is the whole blogosphere for other topics, post to your hearts content out there. Well, That is the reason this thread is in the Opposite Lock Section. There are people here who love working and Modding on Photoshop!! I tend to agree with SG..
On an aside.. it wouldn't behove members to treat the forum as their personal hobby horse now would it? Hey the SX4 and swift look really cool.. like the flames on the PAL. hey raceon great pics...did u created all these...and if yes then HOW? Hey cyrus how do u fix those wheels and bumpers...do u have some pre-installed Automobile parts in ur Photoshop.. Nope..Though woudnt that be lovely. No, these wheels, bumpers etc have been copied from another car and then has been grafted onto this picture. Here is a tutorial a.k.a. a photoshoppers bible. Yes it is created by me, just doing some timpass yaar. since i saw cyrus had done something and people appreciate this stuff i thaught of doing it. You have used the City grille well raceon. But that Ferrari Badge!! Out of place buddy. The grills used is of the Ferrari F250 concept car. I know it looks bad but thaught of keepin it since me is a Ferrari fan. Yes Yes!! Very funny!! And NO that is not my real nose. I have not had a nosejob!! hehehe..Zavo, good memories this picture will have!! This is how i really look like!! Yes Yes!! Very funny!! And NO that is not my real nose. I have not had a nosejob!! hehehe..Zavo' date=' good memories this picture will have!! 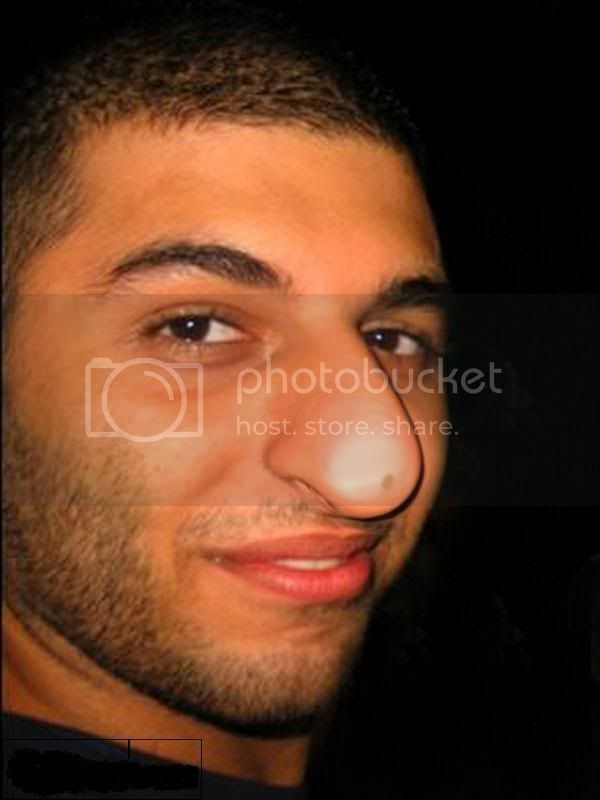 Yes.. that is how you look.. AFTER YOUR NOSE JOB! Where is Zavo's original post with the NOSE! This is misuse of the moderators privilege. You should be able to take a joke.